The Telegraph Quartet was formed in September 2013 with a commitment to a passionate approach to standard chamber music repertoire as well as contemporary and non-standard repertoire, alike. 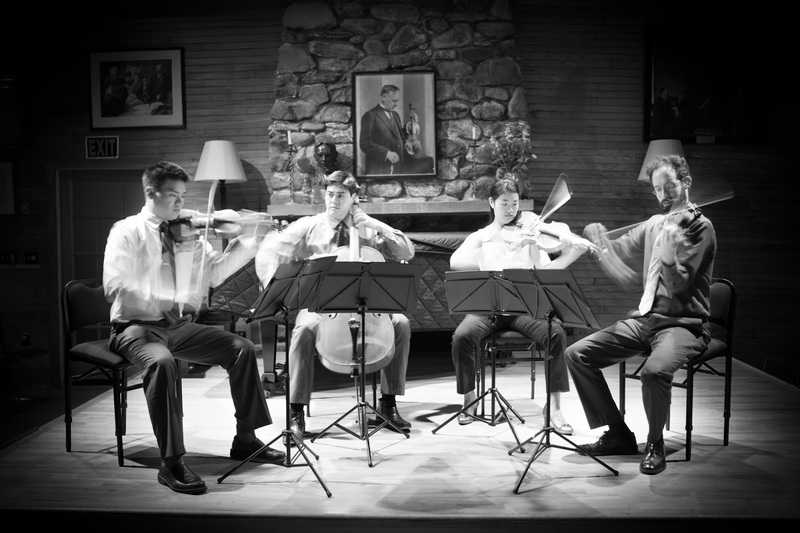 Described alternately as “intensely urgent” and “poignantly resonant”, the Telegraph Quartet received the prestigious Grand Prize of the 2014 Fischoff Chamber Music Competition at Notre Dame University. The Quartet’s past season highlights include three concerts featured as Guest Artists for the San Francisco Conservatory of Music’s Chamber Music Masters Series, an ensemble residency with San Francisco Friends of Chamber Music’s Presidio Sessions, and a tour of the Mid-West, sponsored by the Fischoff Foundation. The Quartet gave its first Carnegie Hall appearance earlier this season in Weill Recital Hall as guest ensemble with the sensational violinist Ian Swensen. Telegraph has also performed at several music festivals, including the Great Lakes Music Festival in Detroit and Robert Mann’s Quartet Seminar at the Manhattan School of Music and this summer as the featured guest artists at the opening concerts of Kneisel Hall in Blue Hill Maine. The Telegraph Quartet will be rounding out their summer concerts with a trip to Italy’s Emilia Romagna Festival as part of the Grand Prize of the 2014 Fischoff Competition.